Posted: Saturday, July 16, 2016 8:00 am | Updated: 9:28 am, Sat Jul 16, 2016. “Whassup? !” a man asks his friend over the phone while sitting on his couch drinking a Budweiser beer. This isn’t Stevens Pell Jackson, but instead one of the many iconic commercials his team worked on for Anheuser-Busch before he became involved in Jaffrey’s Park Theatre. 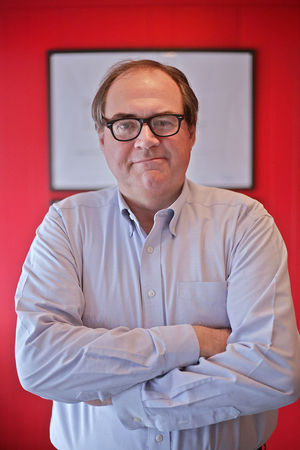 For nearly 30 years Jackson worked in advertising and marketing for DDB (formerly Doyle Dane Bernbach), an advertising agency with headquarters in Jackson’s hometown of New York City. “I joined them when I was a very young kid and I was low on the totem pole, and stayed with it over the years and eventually led the business on a global basis,” he reflects. Anheuser-Busch was one of Jackson’s major clients during his time at DDB and his team’s advertising campaigns for Budweiser and Bud Light won “every major industry award including Cannes Gold Lions, Effies, Clios and Emmys,” according to Pell Partners, Jackson’s consulting firm. These winning campaigns include Spuds MacKenzie, “Gimme A Light,” “Yes, I am,” “I Love you man” and the Budweiser Frogs, Ants and Clydesdales. Take A Seat! Recognition Opportunity! Copyright 2016 - The Park Theatre - PO Box 278 - Jaffrey, NH 03452. Join our email list!